The world of IT is changing at lightning speed, thanks to digital transformation, cloud adoption, issues of cybersecurity and shifts in customer expectations. As a result, many organizations have found that their third-party contracts are out of date and need to change. This is prompting many organizations to take a second look at their IT service contracts to determine whether they still meet the needs of today’s IT world – or whether today’s automation, bots, efficiencies and cognitive software have rendered the traditional resource units, service levels and pricing structures obsolete. There is an art to developing these new, flexibility-minded contracts, says Charles Arnold, Partner and Leader of KPMG’s Technology Shared Services and Outsourcing practice. Certainly, some basic services, especially in the SaaS realm, are bought in a straightforward, boilerplate way. But more complex service buys and larger outsourcing relationships need to evolve as service offerings come online and technical requirements morph over time, he explains. This requires an art in blending the description of service, the performance requirements and the right pricing that works for that flow of service. “A deal that can survive 3-5 years, with those kinds of legs, isn’t easy in a technical environment that is changing every six months,” he says. 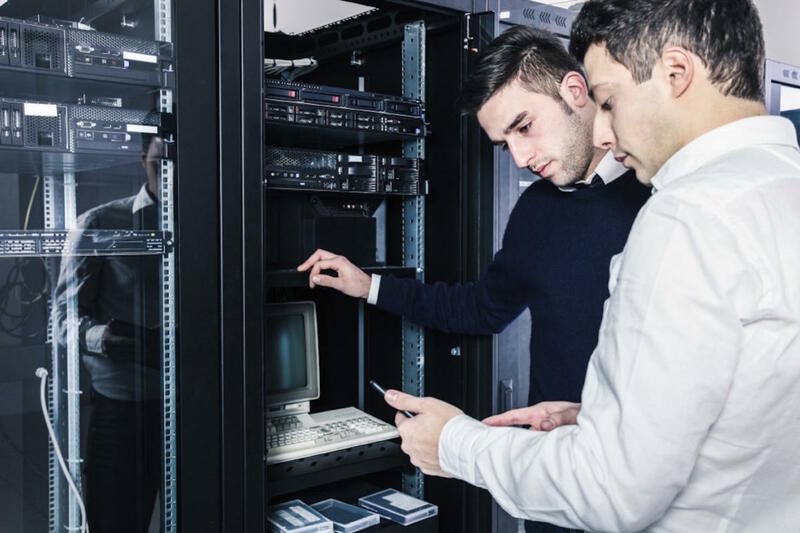 The typical problem today, Arnold explains, is a disconnect that appears between contracts for sourced IT services and the nature of today’s services being delivered. Companies have often responded by shrinking the length of the deal down to five, three or occasionally even one-year deals. “But that’s a tactical, often costly response to the strategic problem, which is about evolving the delivery structure and the service offering to keep pace,” he says. Old-school deals that were very rigid, for example, now need to be more fluid — as far as pricing, structure, automation and terms. “The biggest change is a shift from physical,” says Arnold — both people moving to virtual bots, but also physical services turning into virtual services, physical storage into the cloud. This comes with increased complexities in integration and security risks but lots of efficiencies as well that need to be accounted for. The buyer base is also shifting, he adds: No longer are major deals, even those related to infrastructure, always bought solely by IT. It may be bought by business users or heavily influenced by them and therefore requires a new strategy. In addition, with today’s constant technical evolution, no one knows what the right measurement answer will be in two years — that’s why deals are often written with shorter timelines to stay on the safe side. “But that isn’t a good answer because switching costs are high,” Walker explains. “Now it’s about how you can stay alive with a deal longer — what you can write into the deal to keep it flexible and current, which requires new steps to handle pricing and resource units.” For example, resource units are getting bundled and baked into one price that customers feel offers the right value. The big answer for now? Governance — for most organizations, it needs to start during the contracting process and continue actively throughout the terms of the agreement. But those terms need to be flexible enough to evolve with the needs of the business and changes in the industry. Interested in learning more about how organizations are utilizing third-party IT services to align or realign their contracts and meet their true business objectives? Listen to KPMG’s The art of IT contracting podcast to learn more and visit the KPMG Shared Services and Outsourcing Institute for further insights.